Gaining Israeli citizenship seemingly represents quite a few challenges for the Russian tycoon when doing business on British soil. Roman Abramovich, who now holds an Israeli passport, will be allowed to visit the UK for up to half a year, but will have to apply for a work permit to be able to do business there, a spokesperson for the British government said. Abramovich, who has owned London’s Chelsea soccer club since 2003, flew to Israel on his private jet earlier this week and was granted an identity card under the so-called Law of Return, which enables Jews to come to live in their homeland. Following the move, the 51-year-old Russian-Jewish tycoon, worth roughly $11.5 billion, according to Forbes magazine, automatically became the richest person in Israel. Separately, under Israeli regulations, he will not need to declare his sources of income earned abroad for the last 10 years, nor pay taxes on it. The decision to move to Israel coincided with visa complications recently experienced by Abramovich in Britain: his previous visa expired and, according to media reports, his next permit was delayed. Also, he may have been asked to reveal his sources of wealth to British authorities to be granted a new visa to live and work in Britain. In the wake of the alleged poisoning of former intelligence agent Sergei Skripal and his daughter Yulia in Salisbury, the UK, the Brits have been closely monitoring Russian businessmen and diplomats coming to and from the country. Amid increased scrutiny and a tightening of visa regulations, Abramovich, who had attended nearly every Chelsea game since 2003, missed Chelsea’s Football Association Cup final win against Manchester United earlier in May. 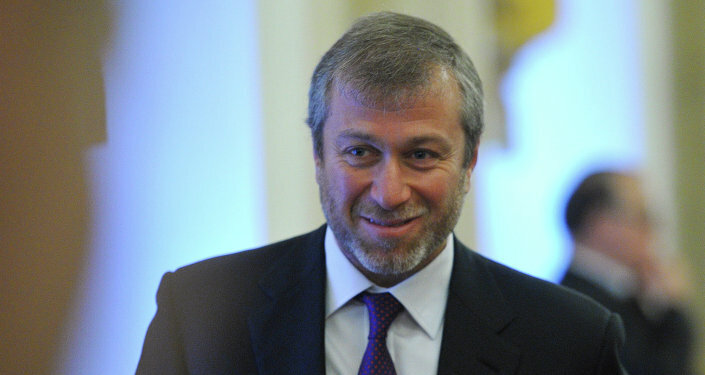 From 2000 to 2008, Roman Abramovich served as governor of Russia’s far-eastern Chukotka peninsular and injected millions of dollars in investments to the distant region. In 2005, he sold his major stake in oil giant Sibneft to the Russian state company Gazprom and has since focused on his legal business activities in Britain.